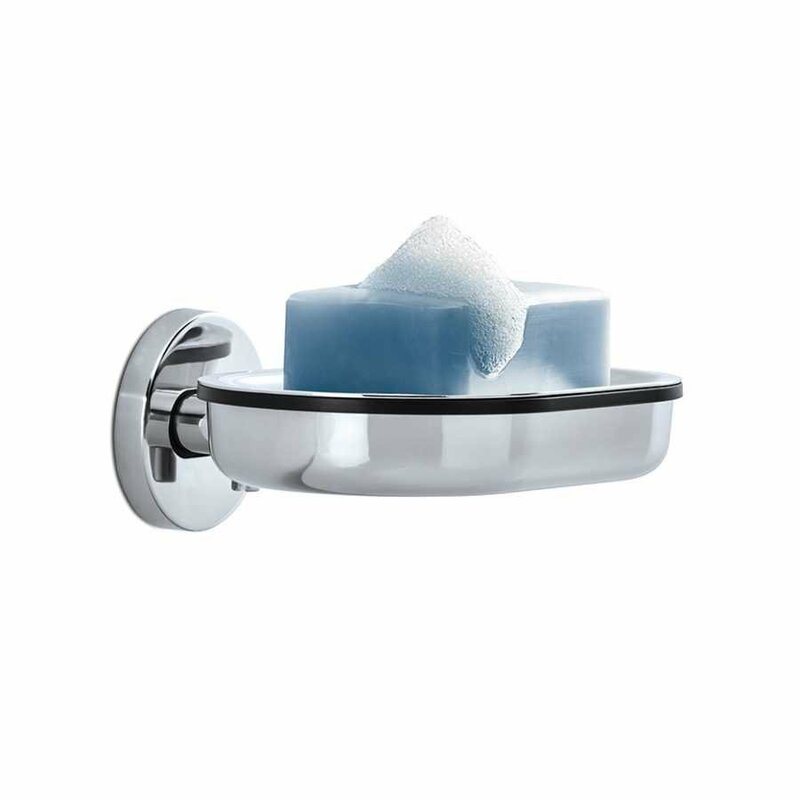 A simple yet highly convenient and clever accessory for your bathroom, the Areo Wall Mounted Soap Dish by Blomus is ideal for positioning next to your shower or even above your sink and to the side of your bath. The Areo Collection by Blomus is an expansive range of bathroom accessories which are simple and functional in their design, making them a great choice for bathrooms of many different styles and designs. The Areo Wall Mounted Soap Dish is a gentle rounded oval shaped dish which features a matte black plastic trim which is a characteristic of the Areo range. 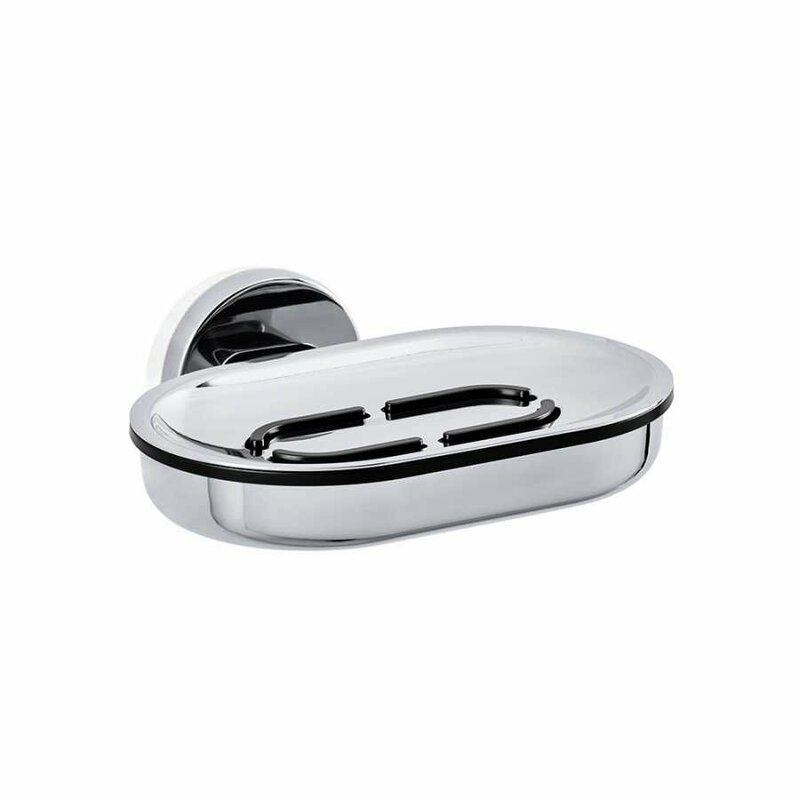 The stainless steel shape and casing of the Wall Mounted Soap Dish is available in a matte or polished finish. Each Areo Wall Mounted Soap Dish comes complete with the fixing kit required to mount it to the wall and it is functionally designed to be easy to clean and also to allow any water stored in the soap to drain easily into the bottom of the tray. Each soap dish also features a removable grate. Each Areo Wall Mounted Soap Dish measures 6cm in height, 14.5cm in width and has a projection of 12.5cm. If you want to find out more about the designers behind this piece and would like to explore the rest of their collection, then please visit our dedicated Blomus brand page.